Indianapolis—Many families have historical objects that are passed down from generation to generation. Now, the Indiana Historical Society (IHS) is giving guests a free opportunity to learn the value of those items and how to care for and preserve them. 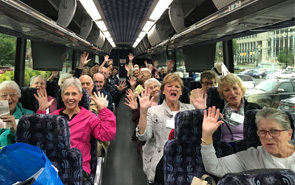 In honor of National Preservation Week (April 24-30), IHS is hosting a Preservation Week Road Show on Saturday, April 23, at the Eugene and Marilyn Glick Indiana History Center, located at 450 W. Ohio St. in downtown Indianapolis. The free event, from 10 a.m. to 3 p.m., brings appraisers and conservators together in one space, a unique take on the popular road show format. Anyone interested in speaking with a professional appraiser or conservator must reserve a time slot for a free one-on-one consultation. From 10 a.m. to noon, and again from 1 to 3 p.m., appraisers will evaluate a wide variety of objects including works on paper, textiles, paintings, furniture, artifacts, rugs and jewelry. In addition, conservators can answer questions about caring for works on paper (fine art, letters, certificates and photographs), vellum, textiles and paintings. For objects too large to carry, guests are encouraged to bring detailed photographs to share with appraisers and conservators. Appraisers also invite registered guests to send photos of any object prior to the road show to allow time for detailed research. In addition to one-on-one consultations, the road show will feature a series of free presentations on a variety of topics such as how to read the history of an object, as well as digital and family history resources. No appointment is necessary for the presentations led by staff members of IHS, the Indiana State Library and the Indiana State Archives. Guests may register for their one-one-one consultations online at tickets.indianahistory.org or by calling (317) 232-1882. Appointments include parking and same-day admission to IHS’s Indiana Experience, which includes the W. Brooks and Wanda Y. Fortune History Lab, where guests can learn a variety of conservation methods. The Preservation Week Road Show is presented by IHS, in partnership with the Indiana State Library and the Indiana State Archives. Since 1830, the Indiana Historical Society has been Indiana’s Storyteller, connecting people to the past by collecting, preserving, interpreting and sharing the state’s history. 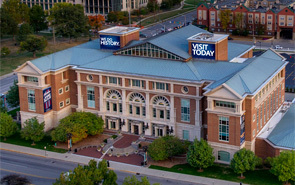 A private, nonprofit membership organization and an Affiliate of the Smithsonian Institution, IHS maintains the nation’s premier research library and archives on the history of Indiana and the Old Northwest and presents a unique set of visitor exhibitions called the Indiana Experience. IHS provides support and assistance to local museums and historical groups, publishes books and periodicals; sponsors teacher workshops; produces and hosts art exhibitions, museum theater and outside performance groups; and provides youth, adult and family programming. 11:15 a.m. | Learning to Look: Reading Objects and Uncovering the Past, Jessica Jenkins, former curator of collections at Litchfield Historical Society, Litchfield, Conn.